Hi everyone! I thought this would be an interesting contrast to our daily FDM usage (for some SLA/DLP usage) and bring some sort of relevance to what's different when using SLS. 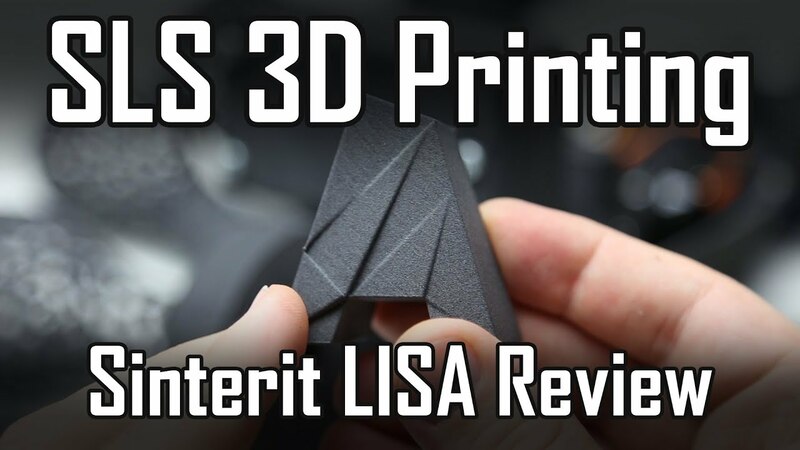 I was fortunate enough to go to Sinterit in Poland to explore their Desktop SLS 3D-printer, capable of printing PA12 and flexible materials, for a price that's around a Form 2 printer. Hope this can bring some discussion about SLS, what you didn't know or just what was interesting. I'd love to answer questions about the experience from a non-sales-perspective! Wow! Thank you so much for sharing that! What an amazing machine. I've seen SLS before but to see it in a more reasonable sized machine is wonderful. Keep up the great content. I am a lot interested in learning about the procedure of the 3D printing. Once I have tried it in my printer which needed to be undergone Epson printer troubleshooting procedure. Can anyone help me with the proper guidelines? +1-844-523-5136 How to fix Epson Printers common problems? How to fix Epson Printers common problems?Dial toll free +1-844-523-5136 for quick assistance for resolving technical issue relating to the Epson printers.To get help related to verify connection and common problem of Epson printer can be resolved by talking to our Epson printer support team which always available 24*7. Great piece of information on SLS technology and it is certainly a revolutionary one in terms of 3D printing. And if you are looking for SLS 3D printers, you can easily get them online from some reliable 3D printer store. All these printers deliver great output.